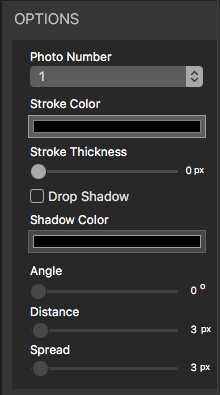 Mac template editor now matches Windows with a grey and black UI. New templates will now appear at the top of the template order. Change the angle, distance and spread of the drop shadow for text and graphics. Select multiple items in the template to align or distribute them using the controls on the right side of the template editor. 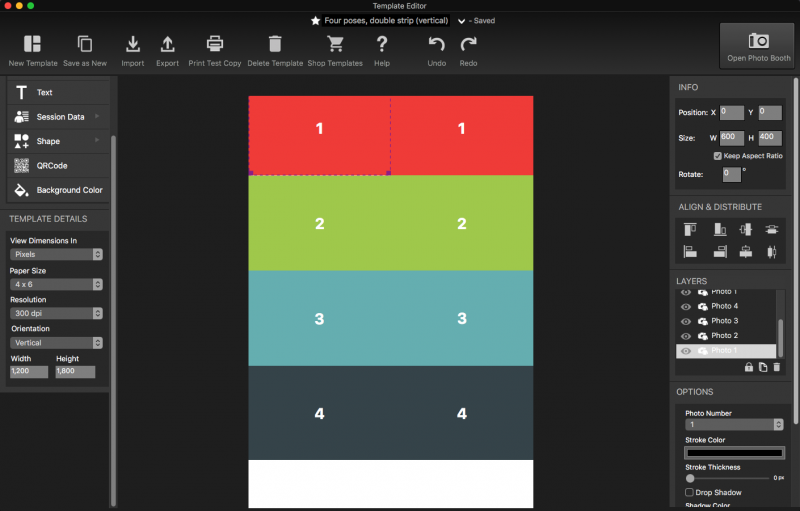 Fill the background of the template with the background color tool. 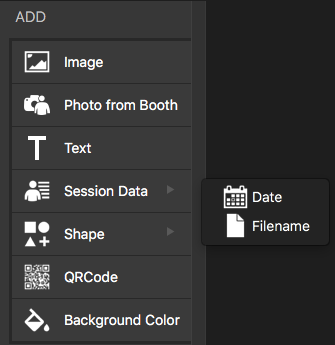 Add the date and filename to the final print. Set the resolution to 300×300 dpi or 600×600 dpi. 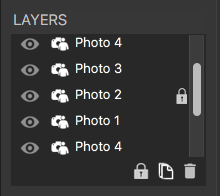 Lock layers using the layers panel so that layers will not move while creating the template. Print a test copy of your template to check for sizing and positioning on paper. Require template to have at least one photo before proceeding to start screen. Fix for large boomerang/GIFs not sending over email.